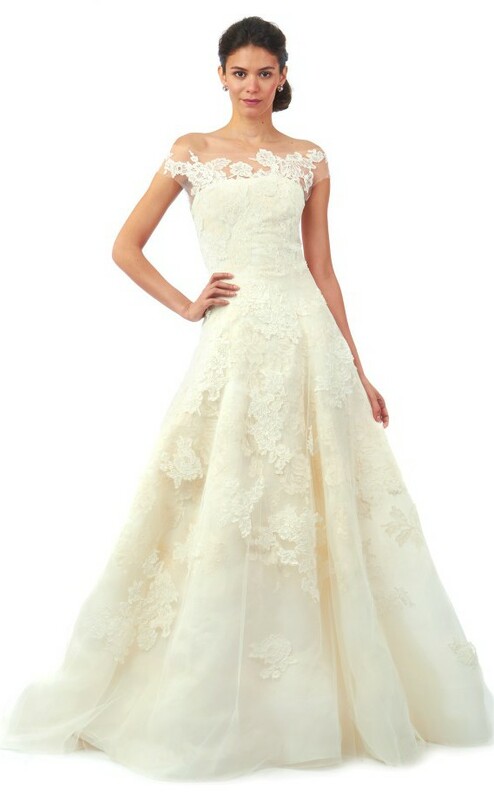 Sweetheart invisible tulle neckline A-line gown. Ivory silk gazar with light cotton corded rose Chantilly lace appliqué, top layer is re-embroidered floral bouquet lace on tulle. Final Sale. Once you send a message, Gunay can invite you to purchase the dress.